Never rest upon the successes of the previous day. With the GE1 Evo we appeal to all Enduro riders and racers who are looking for more comfort, grip and a precise grip. 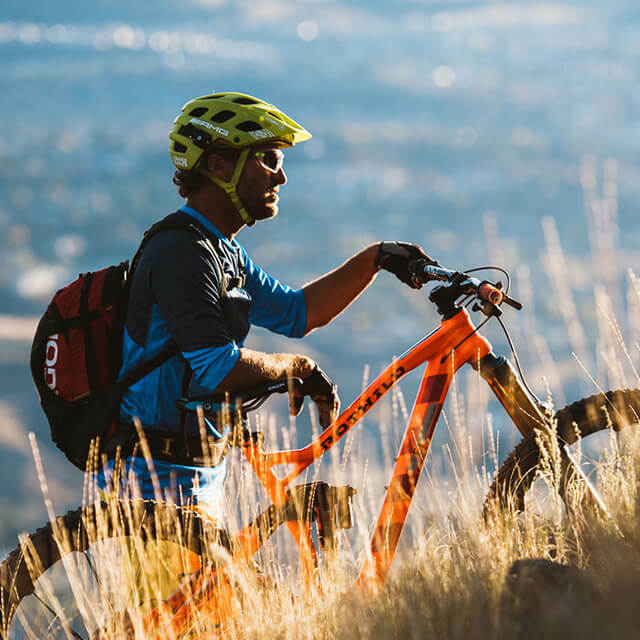 The aim of the GE1 update was to further increase the grip on the handlebars while further reducing required strength input. 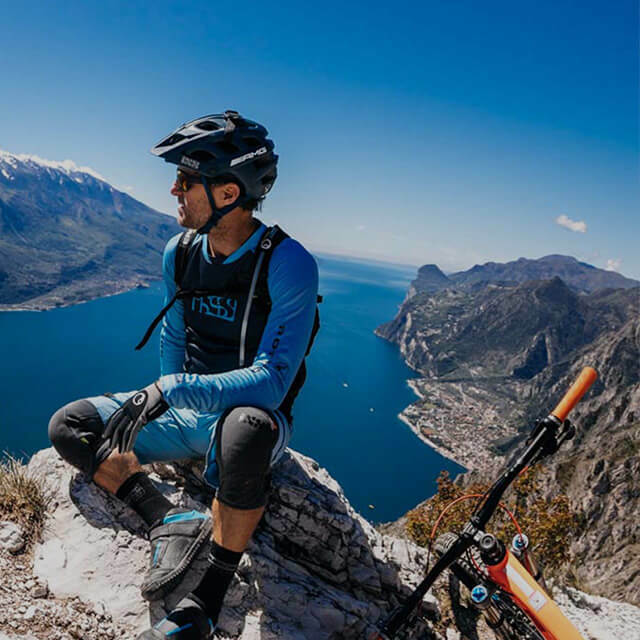 When mountain biking, less effort put into the handlebars leads to less muscle tension and thus reduces the risk of arm pump or numb hands. 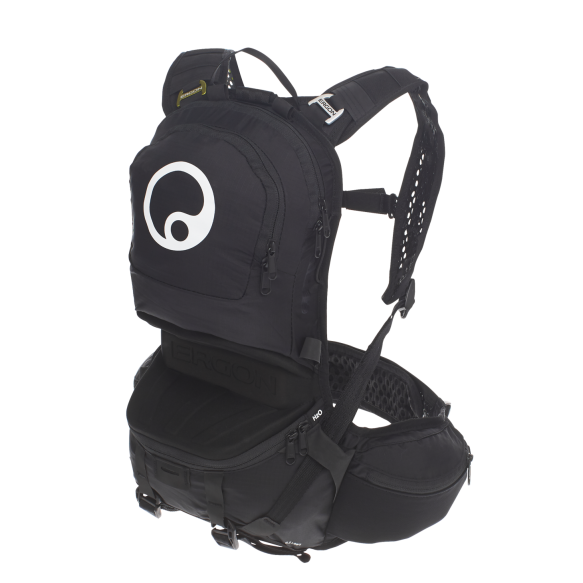 The results are more comfort, better control of your bike and an optimized arm position. The GE1 has been used in the Enduro World Series for years. 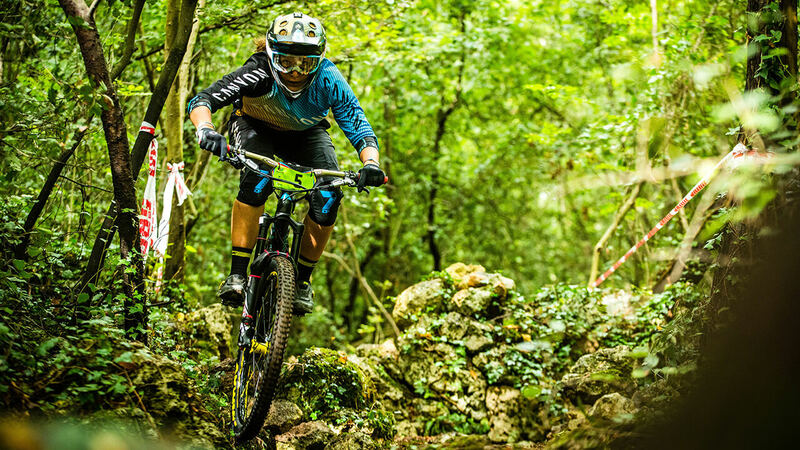 The driver feedback from the EWS pros was crucial for further developing and improving the GE1 Evo. 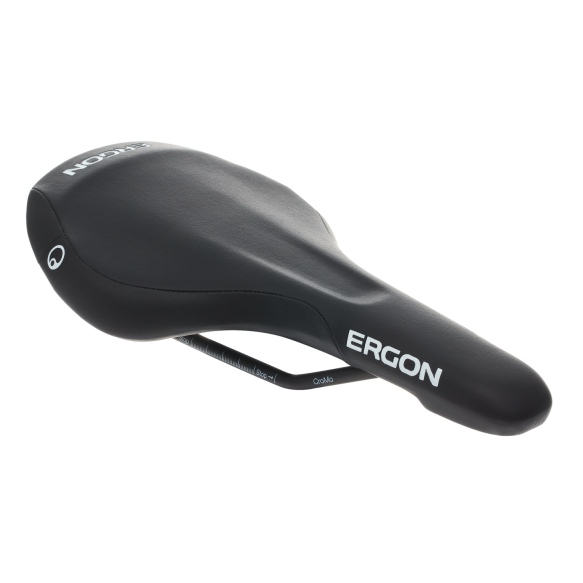 In our Ergon product development, the feedback from our riders and teams is an integral part of the process. 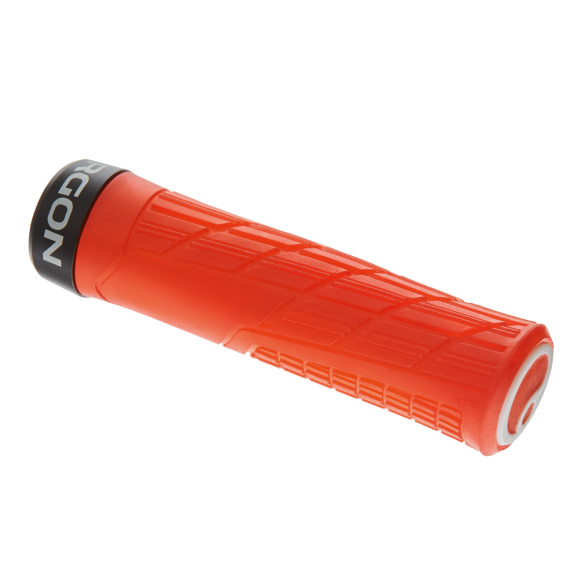 All of the feedback is reflected and incorporated it into the new GE1 Evo MTB grip. 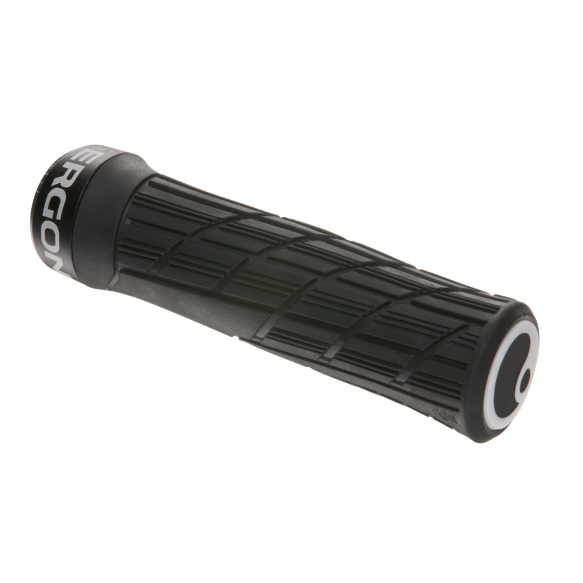 The texture alignment is slightly adjusted against the hand rotation, intersecting channels in the gripping zone and differently shaped elements increase the grip of the GE1 Evo. The texture update is completed all the way to the edge of the grip itself, affording more room for comfort. The ulnar nerve on the outside of the hand is effectively relieved and numbness is prevented. Additional Damping on Grips’ External Edges. The thumb was also taken into consideration. 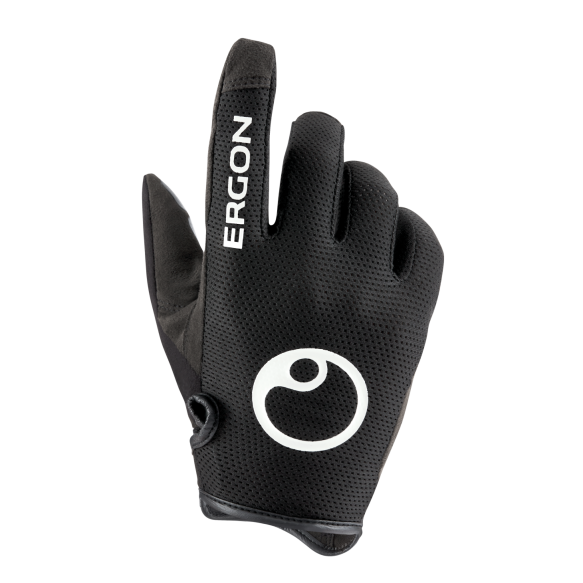 The deeply drawn grip zone and the soft rubber compound further reduce the pressure in this area. The optimization and expansion of the texture allowed us to make the grip rubber even softer and thereby further increase the grip. In addition to the visible changes, our engineers have also thought about the inner core of the grip. By varying wall thicknesses, in the different gripping zones, more grip rubber could be used where more damping was needed. The grip surface is aligned at 8° to the handlebar axis and against the backsweep. This position allows you as the rider to “automatically” take the correct position of the elbows. The MTB grip is available in two rubber compounds: Standard and Factory. 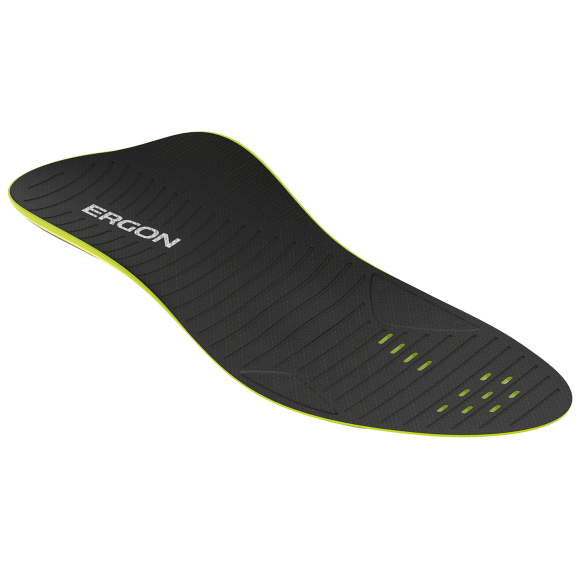 The factory version driven by the Ergon Factory riders is even softer, grippier and offers even better performance with defined abrasion behavior.